— explains Joshua Free in the GATES OF THE NECRONOMICON anthology. This Mardukite NecroGate blog-post is a continuation of the article found at mardukite.com. MARDUK lost rights of official Anunnaki kingship “in heaven” for taking a “human” wife, instead of his betrothed half-sister INANNA-ISHTAR. He argued (to the Anunnaki Assembly) that SARPANIT (his chosen consort, mother of NABU) was descended from ADAPA [see the Necronomicon Annunnaki Bible], and therefore of ENKI‘s (Anunnaki) bloodline; further, that INANNA-ISHTAR was no more interested in the union than he was (and it had not affected her rise to power); and finally, if not “in heaven,” why not “on earth”? While we are forced to guess how the other Anunnaki chose to respond to MARDUK, resulting catastrophes in the Middle East — and the thousands of years of unrest thereafter — show evidence to believe this arrangement between factions did not occur peacefully. In Assyrian accounts, MARDUK, as the great “father-god” Assur or Ashur [“Ashshur”], seems to emerge as if from nowhere. Some scholars in the late 1800’s and early 1900’s considered this to mean the idea of the Babylonian Holy Family — MARDUK, SARPANIT and NABU — as being fictitious figures imagined into being by the priest-scribes for purely political reasons. SARPANIT [also SARAPAN or ZARPANITU] is mentioned often in (Mardukite) Babylonian prayers (incantation tablets) but does not appear in any recovered mythic/epic tablet cycles from Babylon. Politically, she achieves an elevated status (where ISHTAR is an Anunnaki Queen, SARA-PAN becomes literally “Princess“) by her relationship with MARDUK. Together, they are the parents of NABU, patron of the scribe-priests hosting Babylonian Religion — called Mardukite. At the spring equinox — A.KI.TI New Year festival — she is the “spring-maiden” of Babylonian fertility festivals. Being absent in the genealogies of ENKI and ENLIL as well as the Igigi (igi-igi, Watchers), Mardukites acknowledge SARPANIT as an “earthling” or “earthborn” demi-god (part-divine) by birth [given the accounts of the Creation of Adapa]. Discover the World of Mardukite Today! A Mesopotamian Mardukite masterpiece of history and spirituality, providing the most complete Sumerian & Babylonian cuneiform tablet collection in one book, composing in itself — a ‘bible’ — the predecessor and basis of civilization and religion thereafter. Newcomer? Wondering where to start? The Mardukite Core begins with this book. 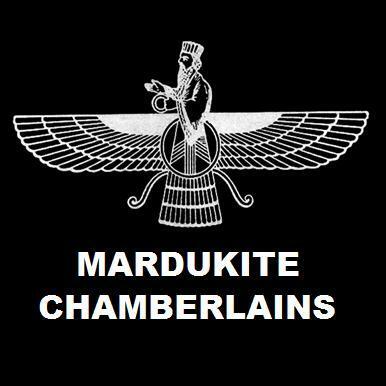 Originally published in three installments – “Sumerian Religion”, “Sumerian Traditions” (formerly “Babylonian Myth & Magic”) and “Necronomicon Revelations.” The critically acclaimed Mardukite Chamberlains research and development from their second year in 2010, available in one volume. The definitive follow-up companion to the Necronomicon Anunnaki Bible.